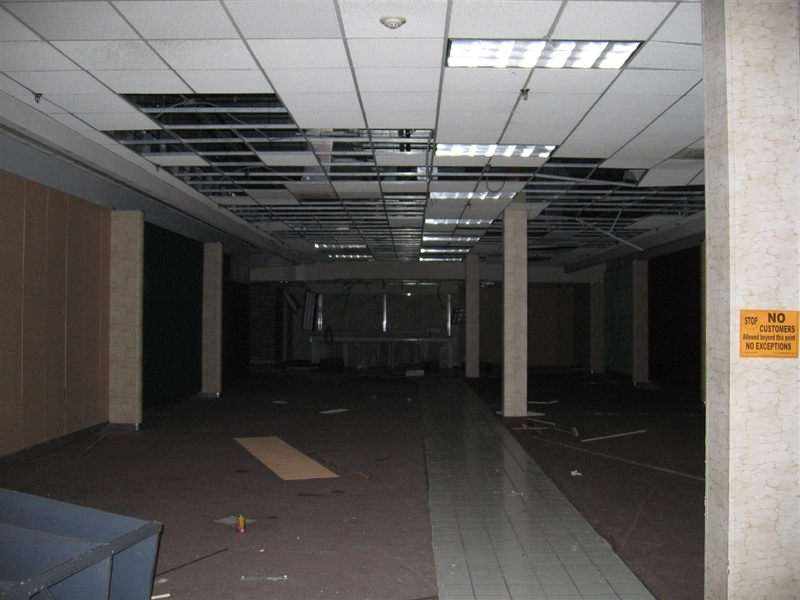 For those out there who are true dead mall fans, this one’s for you. 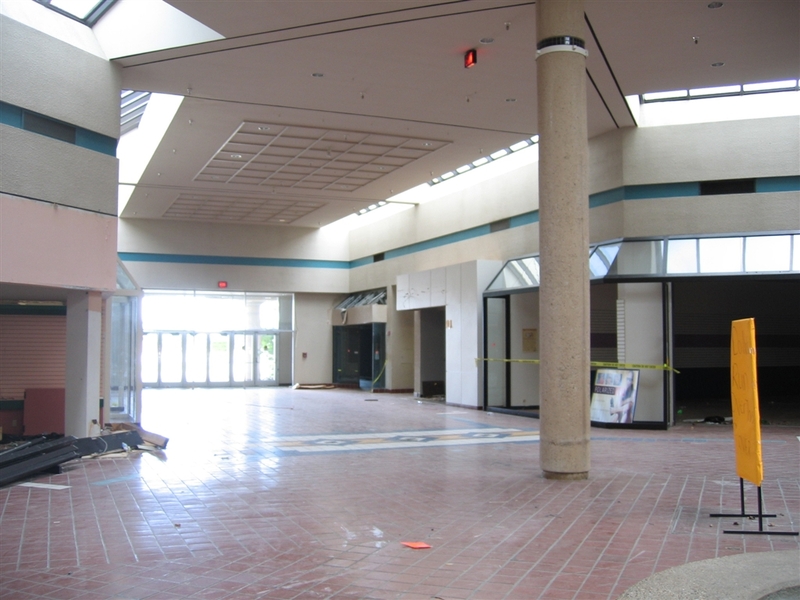 Get ready for a tale of competition, empty promises and sad outcomes, but not before a complete pre-demolition tour of an empty ghost mall nine months after it closed for good. Located in northern Tarrant County, Texas, about 10 miles northeast of downtown Fort Worth and 25 miles west of downtown Dallas, North Richland Hills is a suburb of the Dallas-Fort Worth Metroplex, home to over 6 million people with a geographic spread larger than the states of Rhode Island and Connecticut combined. North Richland Hills has a population of about 60,000, but is surrounded on all sides by other suburbs and the city of Fort Worth. North Richland Hills has an enviable location in the DFW Metroplex, in between Dallas and Fort Worth and relatively close to DFW Airport. The city is served by Loop 820, the freeway which circles around Fort Worth, and also by TX 183, one of the three east-west freeway linkages between Fort Worth and Dallas (the others being I-20 and I-30, respectively). 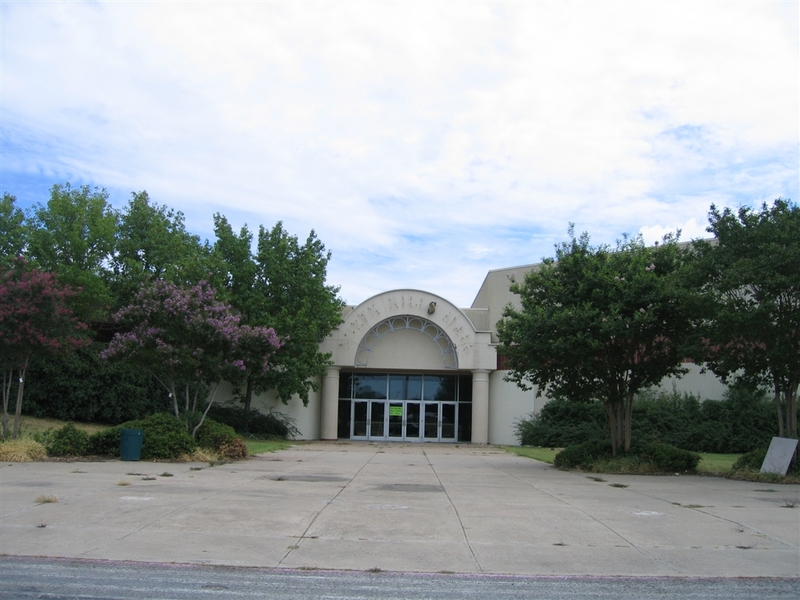 In addition, North Richland Hills is also home to a popular water park, and until fairly recently was home to two large, adjacent enclosed malls. The city was also ranked in 2006 as one of the “Top 100 Best Places to Live in America” according to Money Magazine. Because of its location and prosperous demographic base, retailers sought to establish presence in the area early on. North East Mall opened in 1970 or 1971 (which?) in the small city of Hurst, right next to North Richland Hills. 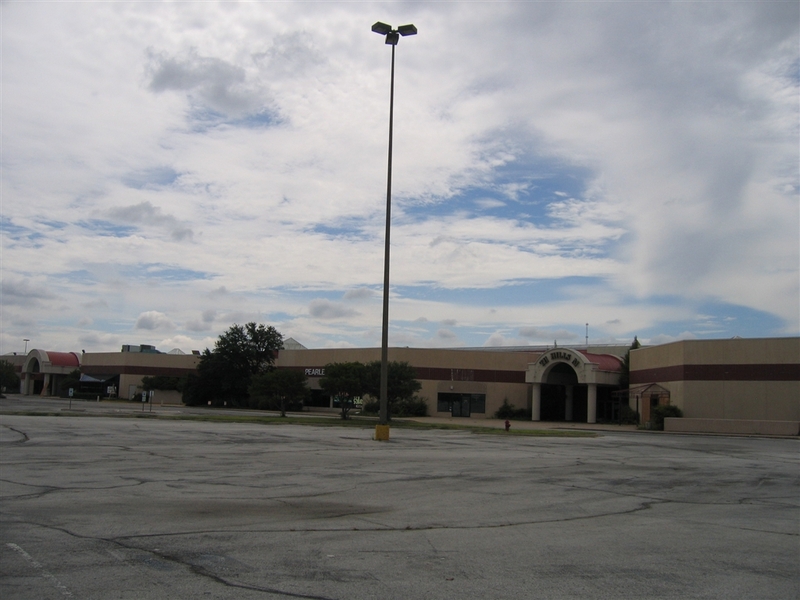 North East Mall was anchored by Montgomery Ward, JCPenney, Sears, and Leonard’s (later Dillard’s). 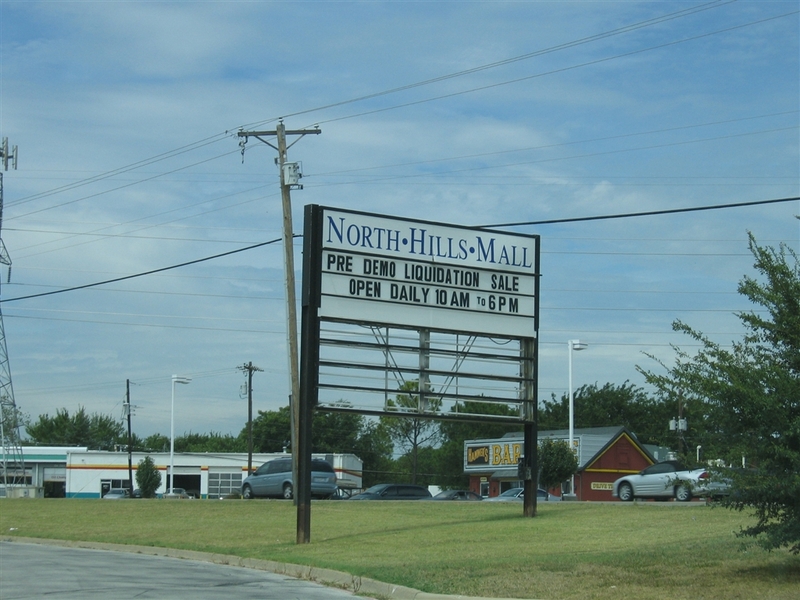 As the area grew, a complementary mall called North Hills Mall was built directly across Loop 820 from North East Mall, in North Richland Hills. North Hills Mall opened in 1979, anchored by Stripling and Cox, Foley’s and Mervyn’s. As it was newer than North East Mall, it stole the thunder for a period of time; however, due to the anchor balance between the two malls the relationship proved a complementary balance for many years. This all changed in 1997, when North East Mall struck a deal that would forever change the co-existing relationship between the two malls. It was announced then that a subdivision of over 100 homes would be demolished south of the existing mall for a large expansion, which doubled the size of the mall and added destination anchor Nordstrom in one fell swoop. The entire mall was also updated and renovated and when the whole thing was complete, North East Mall also received several high-end fashion stores, putting it miles ahead of its former competition across the freeway. 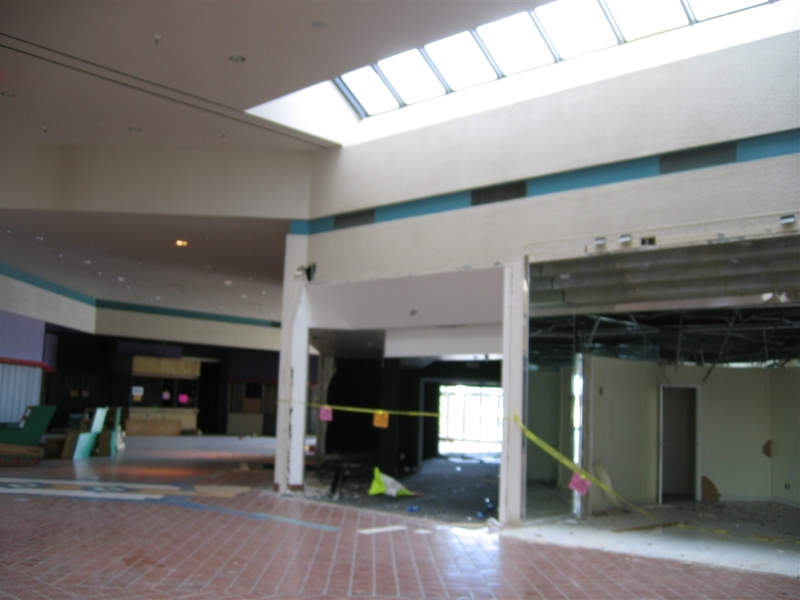 As renovation proceeded on North East Mall, the owner of North Hills Mall scrambled to get in gear and embark upon a renovation of its own. 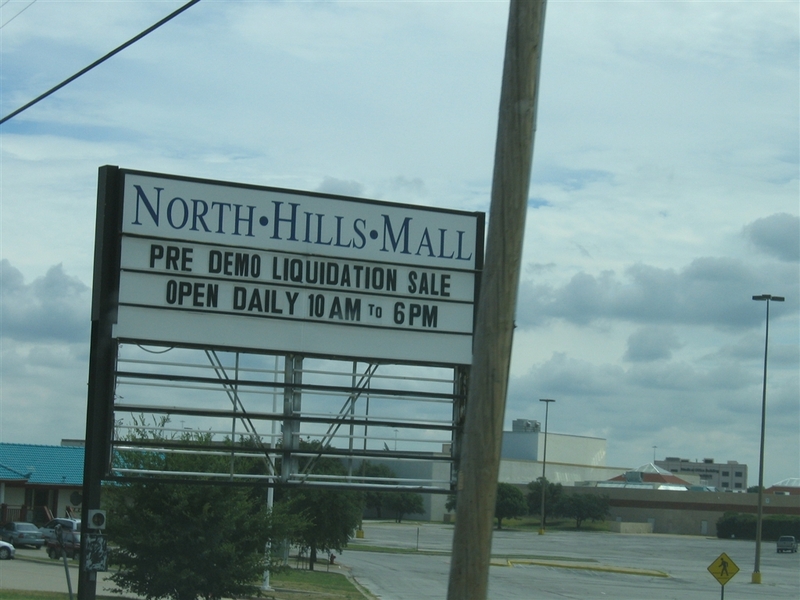 In November 1999, North Hills Mall was sold to a new group of investors with ideas as big as Texas itself. Plans were unveiled to promote North Hills Mall as the ‘entertainment’ complement to North East Mall’s fashion dominance. In theory, the two malls would continue to co-exist peacefully again as they had for years prior. Unfortunately, nothing remotely close to the above plans panned out for North Hills Mall, for various reasons. First, access to the mall stemming from TXDot construction on Loop 820 in prevented traffic from getting to the mall efficiently for several years. This, combined with the lag time in development in comparison with the booming success story across the street caused the closure of Stripling and Cox in 2000 and Foley’s in Fall 2001. Foley’s also added insult to injury in building a brand new store onto adjacent North East Mall. 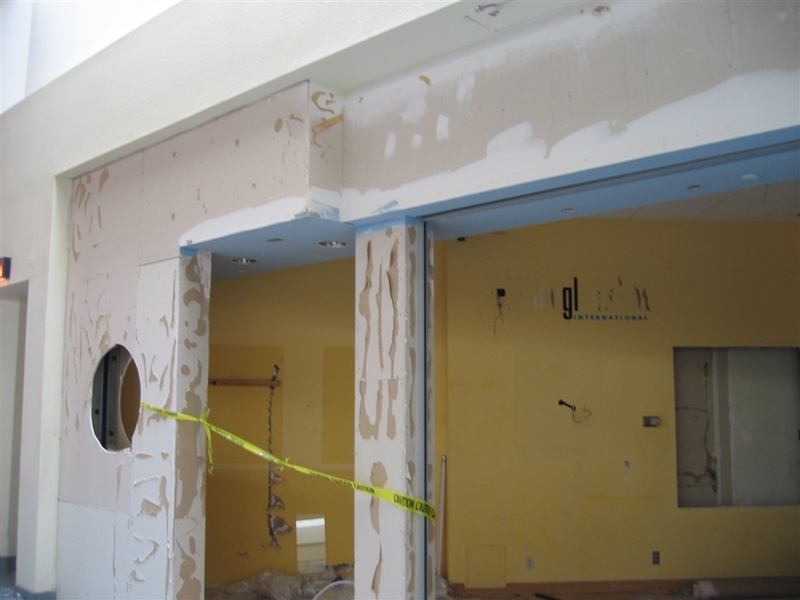 Then in 2004, the architectural firm responsible for the proposed renovations, by this time long overdue, sued developer/owner Michael Kest because Kest apparently wouldn’t return their blueprints and instead distributed them to competitors. Whoops. All this time, the mall became more and more troubled. 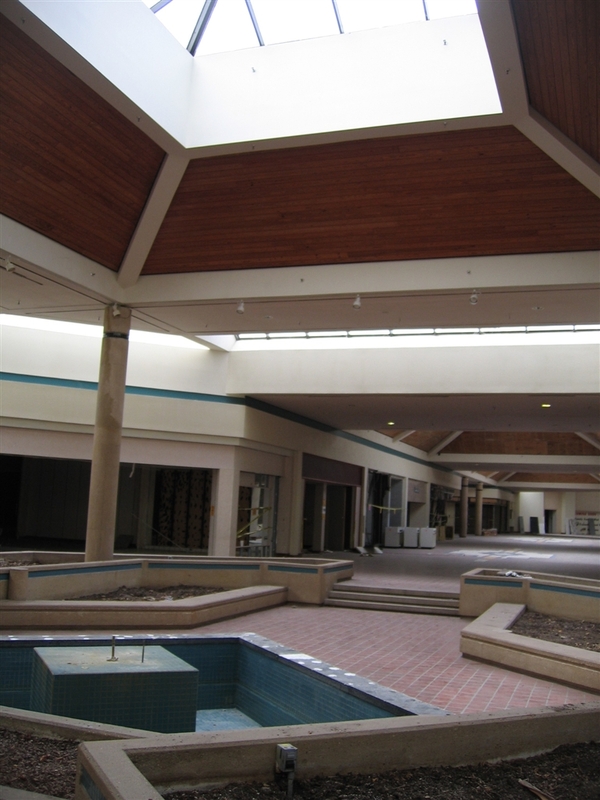 While North East Mall thrived immensely, North Hills Mall went from 75% occupancy in 2000 to 20% occupancy by mid-2004. Mervyn’s was the only anchor left by Fall 2004, and legal wranglings were still ensuing between California owner Kest and local developer Burk Collins over what to do. 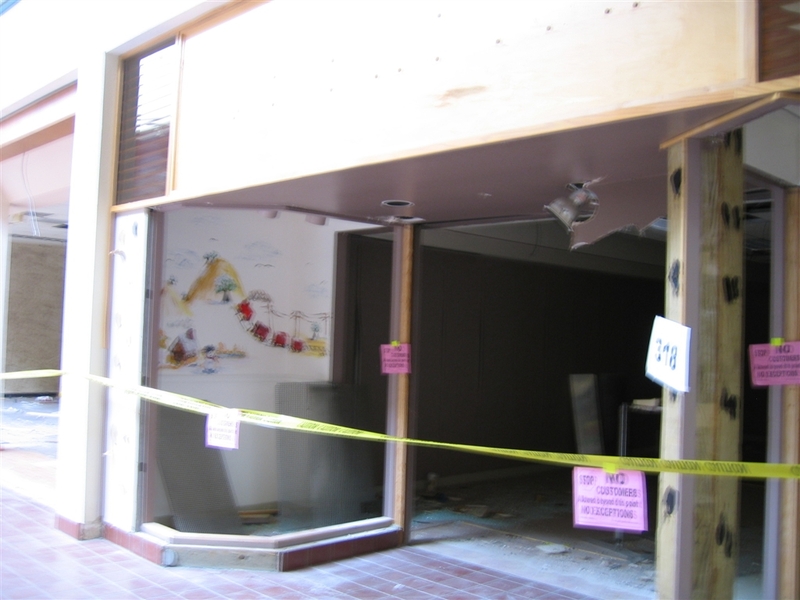 Meanwhile, the bottom fell out and the mall was bleeding money profusely, and, On October 15, 2004, North Hills Mall’s remaining tenants were forced out and the mall locked up for good. 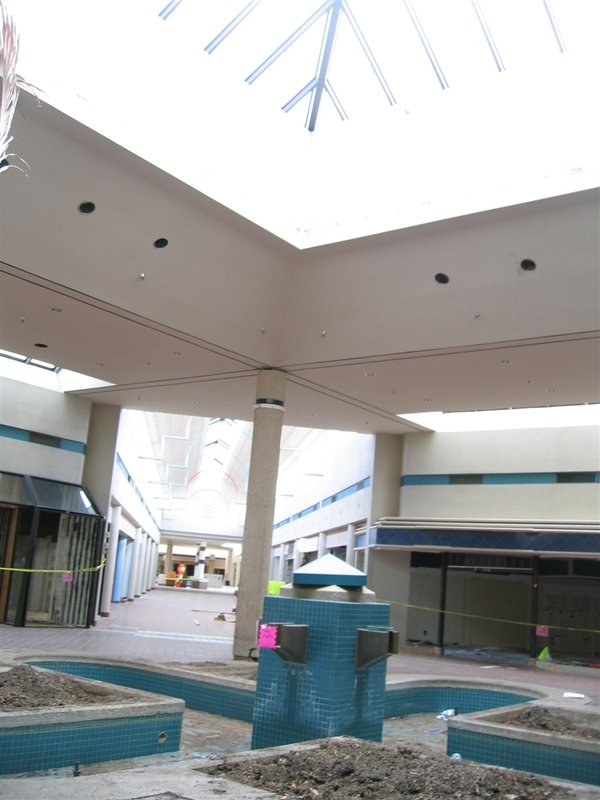 In July 2005, we arrived at North Hills Mall unwitting to the above story and attempted a visit. It was not immediately apparent that the mall was closed for business; however, there were signs that the mall was on its last legs. Several signs in the parking lot advertised sales of fixtures etc., but we figured a couple stores might still be open because the mall’s doors were wide open and many people were walking around the site. 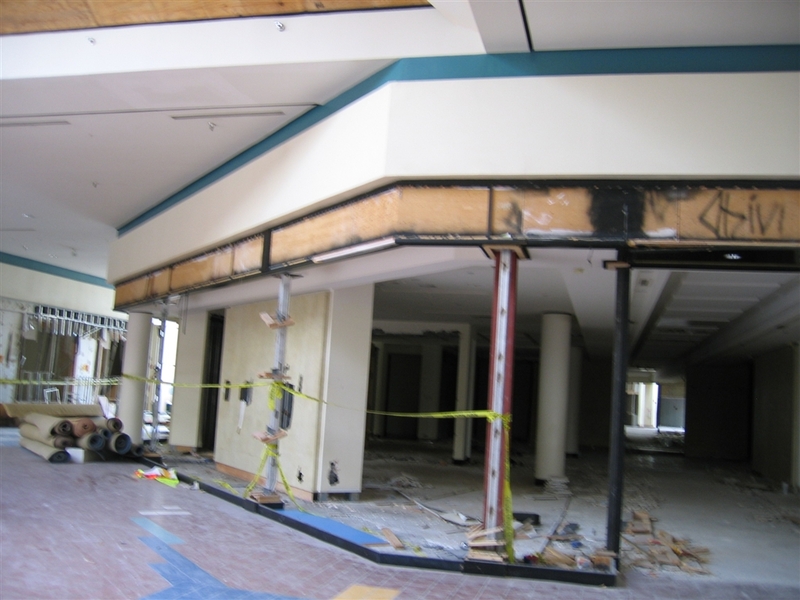 We ventured into the shuttered Mervyn’s store and gained access into the main walkway, and became instantly aware that the mall was being prepared for demolition and the people walking around were workers harvesting any valuable fixtures from the site. Most of them ignored us, and we were able to walk the entire length of the mall unfettered, and even use the mall’s restroom which was located in the former food court. However, upon leaving the mall we were confronted by a man on a bicycle (?!) who wanted to know what we were doing, and also admonished us for being there. He followed us out on the bike the same way we came and also back into the parking lot, before riding back into the mall. The whole ordeal was a bit strange, but it allowed for all the pictures you see here and in the end the mall’s memory can be preserved. Rather shockingly, when researching for this article we discovered the mall was not immediately torn down following our visit. 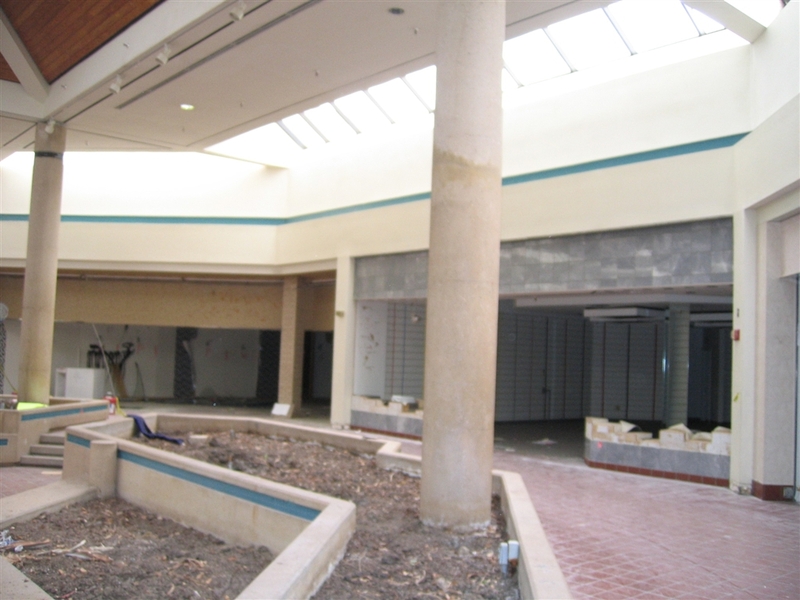 Instead, due to legal wranglings over the site, the mall sat and rotted until early 2007 when a court order from the city finally forced them to tear it down completely. 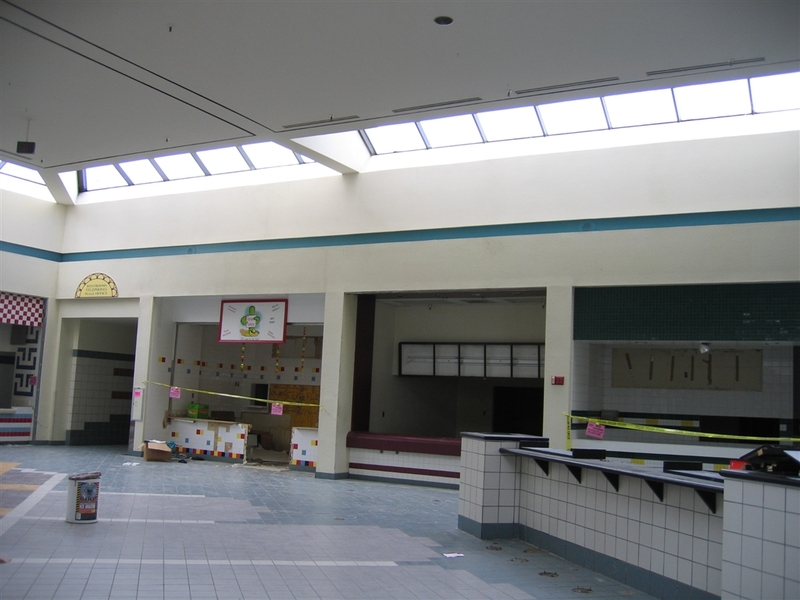 Other uses for the shuttered center included developing an Asian-themed mall or turning part of the abandoned structure into medical facilities, but the mall fell into such disrepair that none of this became possible without a complete demolition. So what will become of the site? That’s a question we can’t really answer right now. After all the legal wranglings and funding issues, the site was supposed to become a 900,000 square-foot “Lifestyle Center” called Citywalk at Calloway Creek (link to PDF), with at least two-thirds of the space devoted to retail and entertainment in order to complement the mega-monster mall next door which still thrives today. Isn’t that what they tried to do with the old mall? Hmm. Furthermore, this Citywalk business was announced in 2005 and has yet to come to fruition (as of February 2008) despite numerous online articles announcing it would already be open by now. We won’t hold our breath. It seems rather sad to me that the poor citizens of this area have watched their once-thriving mall literally crumble to pieces while a perfectly viable option was proposed and seemingly funded for several years. I hope someday something beneficial and unique returns to the vacant site, and is much more than the typical vapid sea of box stores floating amid a shiny gray abyss of parking stalls. Directory snagged from defunct mall website. Thanks, wayback machine! A guy on a bike? Oh, like Maple Hill Mall. Anyways, a million thanks for another Texas mall. However, I haven’t seen any Texas malls on here yet that aren’t sick, dying, or dead. I actually have this brochure I picked up in spring of 2006 that features all of the malls (indoor and outdoor) of Dallas/Fort Worth. 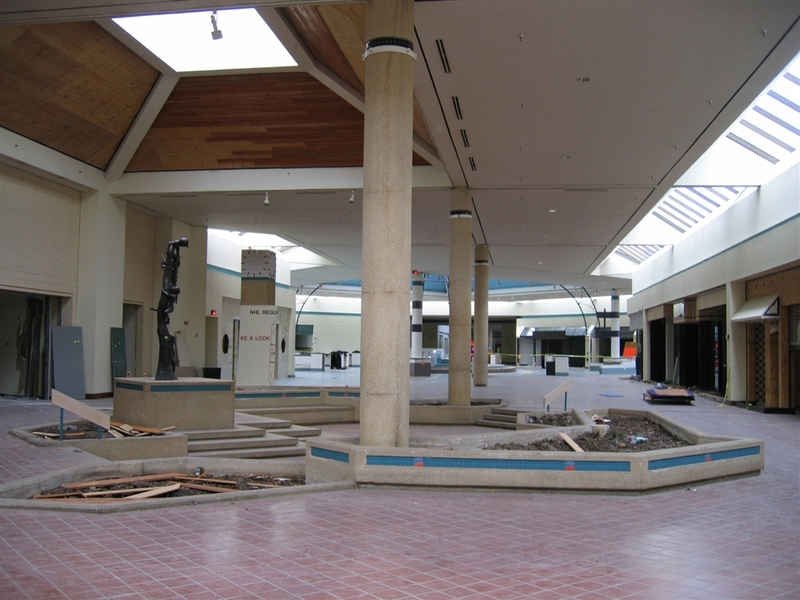 It was relatively up-to-date, as Festival Marketplace Mall (Forum 303) was gone but it touted Foley’s and Structure as being shops in Six Flags Mall (both of which are now gone). 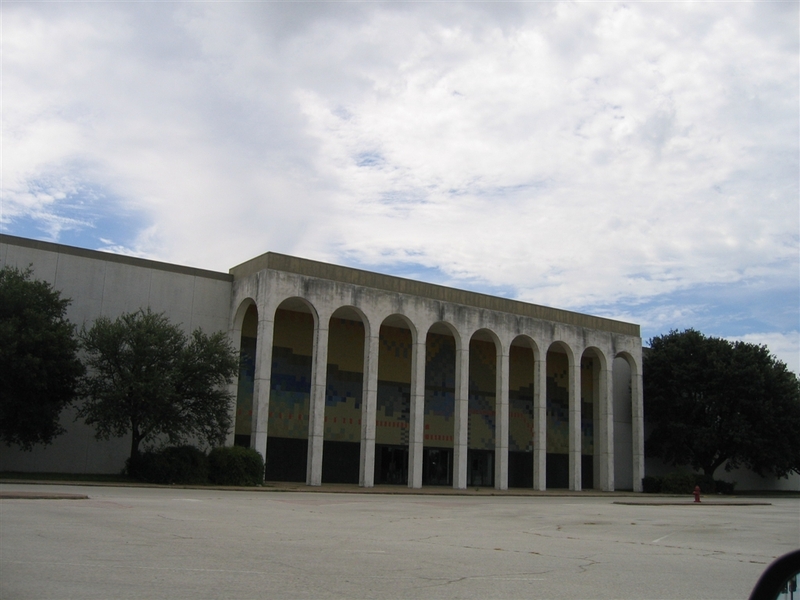 The guide lists a whopping 17 enclosed malls (however, Richardson Square Mall has met the wrecking ball since then) and that’s not even counting the demolished malls of Dallas: this one, Forum 303, Big Town Mall, and Prestonwood Town Center. And many more are treading water and dying, attempting to stay afloat in an overmalled environment. Personally, I think a Dallas/Fort Worth case study would be an excellent addition to this site. Correction: It didn’t list North Hills Mall either. Did it list the abandoned enclosed outlet mall up by McKinney? Allen Outlet Mall I think it’s called. That was there on my visit, but I couldn’t get very close to it. And frankly, I was scared of it after I heard about gang activity inside. Most of the DFW area malls were interesting, so I’m sure they’ll all eventually pop up here. My favorite one is actually not dead at all, NorthPark Center. In fact, it’s arguably the most successful. I love how they left the 1960s decor throughout the entire mall, and even when they expanded built the new addition in the same style. No, they only list Allen Premium Outlets (Stacy Rd. at North Central Express Highway). I’ve never been to NorthPark Center, as down here in the Brazos Valley, there’s the local mall (Post Oak Mall), the mall with more trendy stores (The Woodlands Mall), and the premier mega-mall (The Galleria). Also, that Foley’s looks suspiciously like it should be a converted Sanger-Harris. Bravo! for the pictures of the Stripling & Cox signs. 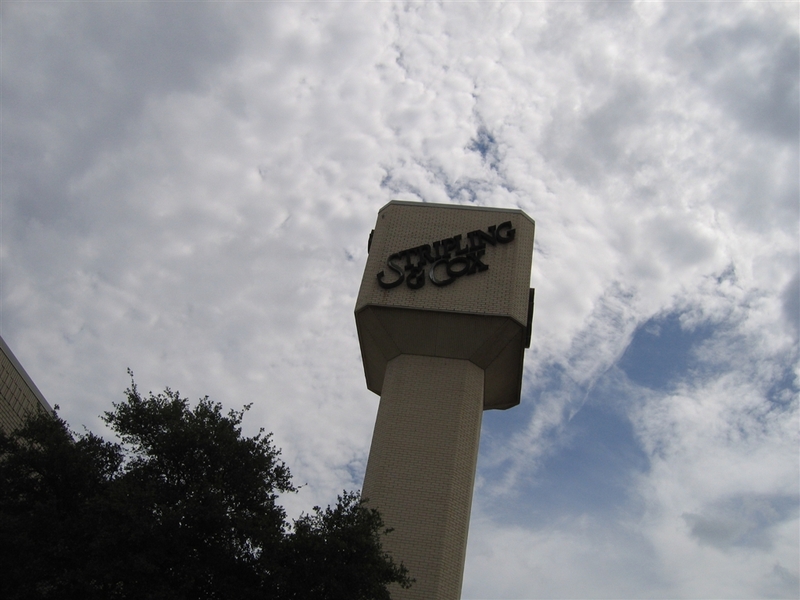 Stripling & Cox was part of one of the last department store holding companies, Dunlaps. Dunlaps died unceremoniously in September 2007 and we lost many old world names and logos, as well as jobs. (Check out MM Cohn at University Mall in Little Rock for another Dunlaps store.) Thank you for posting these pictures. Too bad I never made it there. It might be useful to do more metro-based case studies like you did for Kansas City. If the DFW area has a particularly large number of dead/dying malls, it would be interesting to know how that has unfolded.In Atlanta, which has treasure trove of declining mall, the keys seem to be the continued construction of malls, even though it’s obvious that there isn’t enough demand to support new and existing malls, political climates that are lopsidedly pro-developer (and well supplied with political contributions from development interests), as well as demographic shifts in the metropolitan area. Dallas-Fort Worth may have some of these factors, too, but it’s impressive that some of the dead malls are in fairly well-off areas. I guess the first question to ask is what are they going to do with The Parks at Arlington? GGP has spent numerous dollars in expandtion & redevelopment to one of it’s flagship malls & they could lose their investment. same for Macerich with Valley View Center. No they do not call it ameriquest field anymore. They simply call it Rangers Ballpark in Arlington. Parks at Arlington seems to be doing just fine…it seems to have lost an anchor, and the lower level beneath the theater has DSW Shoes, Circuit City, Lifeway Christian Stores (? ), and Steve & Barry’s. I love the pix of this mall! It’s amazing how you could just walk right in and take all the pix you want! I wish other dead malls were that easy to capture. Great job again, you guys! This is by far my most favorite blog on the subject of retail. Keep it up!!! Was Foleys locked? or did you not have time to access that part of the mall? Anyways awesome pictures. It looks like how i remember it. I remember seeing movies in the theater there. I think the Foley’s of this mall was more than likely a converted Sanger-Harris, as I’ve seen pics of other Texas malls that have a Foley’s(now Macy’s), and many current Macy’s stores are stores built with that same design, and were former Foley’s stores that Foley’s inherited from stores Sanger-Harris once operated. 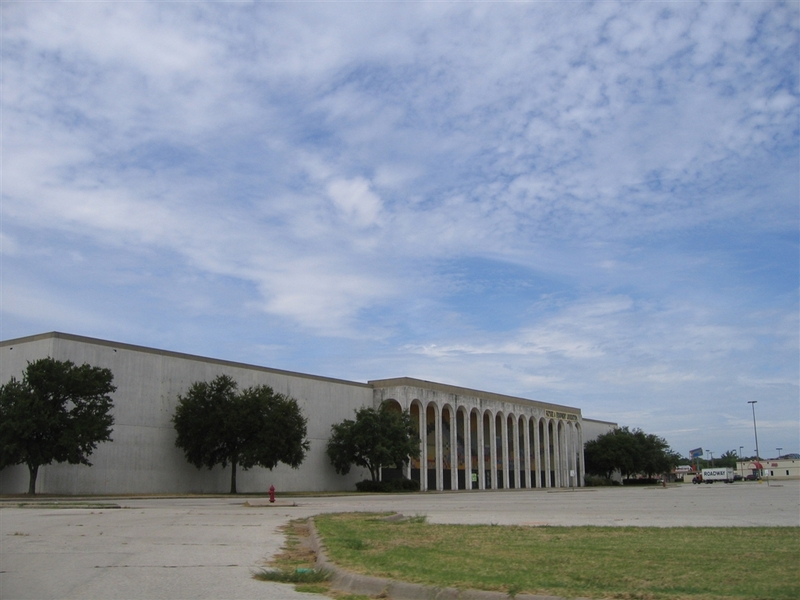 Not to mention, if I’m not mistaken, I believe deadmalls.com lists a few Texas dead malls that had a Sanger-Harris store, and the arches and tiled design within the arches being a main part of how those stores were designed, based on what I’ve read about those stores. Sanger-Harris aside, it’s very sad to read how this mall declined so quickly after 2000, especially if one of the owners/investors that took ownership control of this mall in the late 90s/early 2000s once considered as ambitious of an expansion project as that to this mall. I really appreciate and enjoy the write-up you did about this mall, Prangeway. 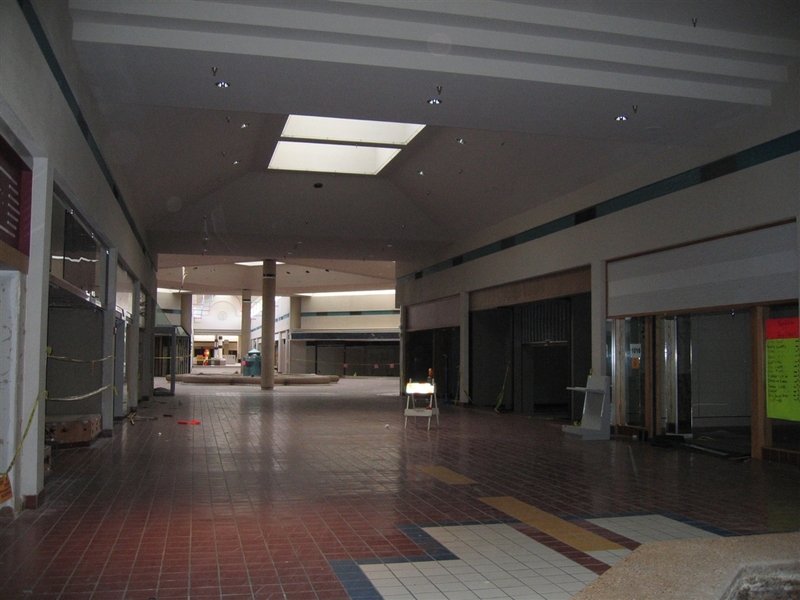 Not to mention, looking at picture 6 of this photoset(and within the section of outside pics you took of this mall), it sure seems like several retailers abandoned stores that were located near this mall(such as what looks like a former Best Buy), while it declined. Am I right in suspecting that the decline of this mall hurt nearby retail shopping centers, and that some retailers may’ve relocated their stores closer to North East Mall? You’re correct. The Foley’s at the now-defunct North Hills Mall was originally a Sanger Harris. @Brad, Yes Sanger Harris, I worked there just after the mall opened. North Hills Mall was considered more “high end” than Northeast, since it was newer and glitzier I suppose. 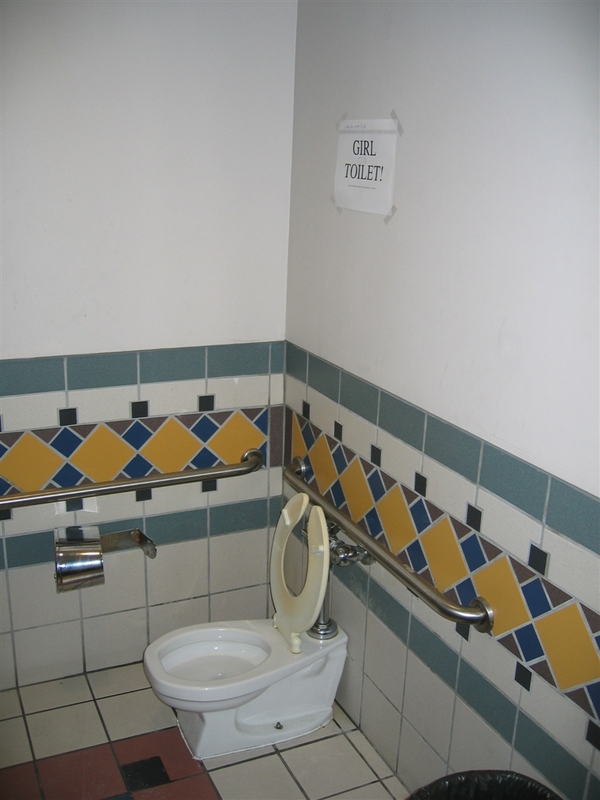 I recall a Luby’s cafeteria and getting to it was difficult. You had to make a left turn before the mall was in sight. Duh about Sanger-Harris, why dont you do your research on the internet about Folley’s history! It was a Sanger-Harris – store X12 if you’re interested. Hulen (X11) was built in 77, so NH would have been built around 77-79 ish. Stripling & Cox was originally Stripling’s and Cox’s – both local chains. I think this location was built after they merged. It was a chain that aged and then died along with its customers – my grandmother and her friends all loved it. The Dillard’s at NE Mall was originally built as a Leonard Bros – another local chain. Dillard’s bought Leonard’s around the same time as the Stripling and Cox merger. The mall was never particularly easy to get to – you had to know where you were going. It was right there on the far northeast “corner” of the loop. 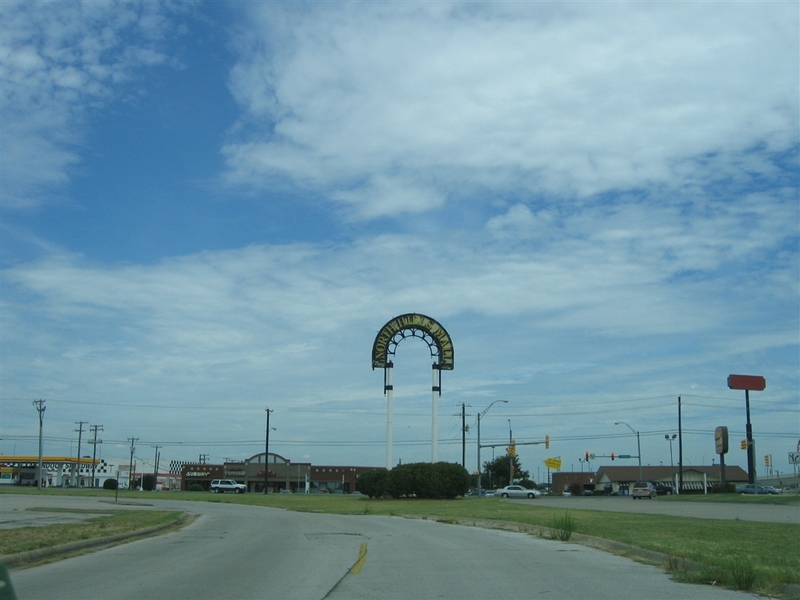 You either exited Loop 820 before you actually saw the mall or you went past it and then came back. Striping and Cox had seperate stores Stripling and Cox respectivley. Camp Bowie Blvd had one of the first Cox’s stores and you could still see the remimants of the sign displaying Cox’s on the building on a rainy day against the brick before it was torn down. @Nick: apparently, there was an unrelated Cox’s in Waco…the labelscar still exists on that one! Was the Cox’s at Lake Air Mall in Waco absorbed into S&C? I’m pretty sure Leonard’s closed and Dillard’s bought the empty the buildings (not a rebranding). Just I said on deadmalls.com a couple years ago, it seems like a mall is DOOMED the second that Burlington Coat Factory moves in, or announces that they are going to move in. Burlington Coat Factory can coexist peacefully with better stores: just look at Monmouth Mall or the like. Know what can kill a mall’s upscale image? I believe Dallas has more malls per capita than any other metro. Richardson Square Struggled for years, then there was an attempt to revitalize it. The mall started to struggle again, and once Firewheel opened in Garland, that was it. 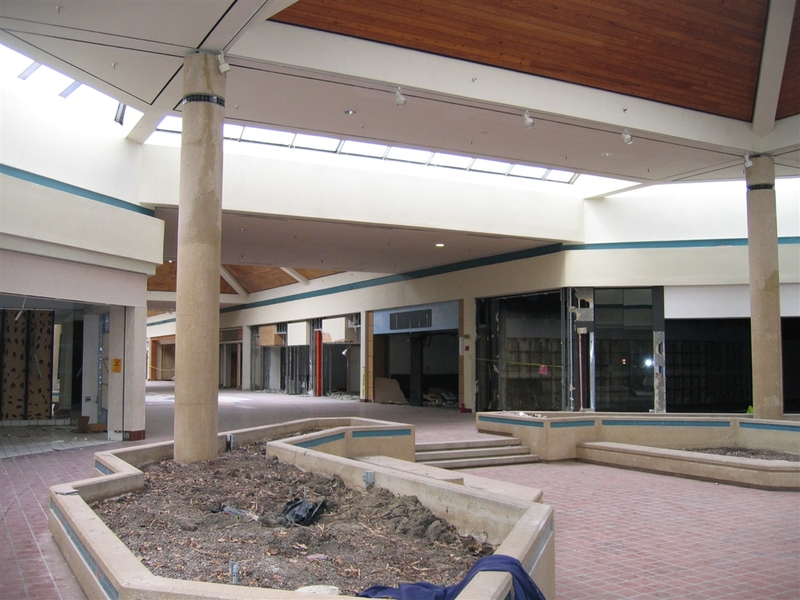 Prestonwoods demise was pretty quick, though the mall sat empty for about a decade. These days Collin Creek and Valley View seem to be the next to go. Dallas would be a very interesting case study. Wait a minute they were planning to build an indoor skate park? DANG!!!!! Talk about a lost opportunity!!! I’m fascinated by the blue,white,brown/orange color scheme this mall has, no matter how empty it looks. Stripling & Cox got it’s name from the last name of 2 of the owners. Mr. Cox eventually joined up with 2 other men and they started another partnership. My father worked for an office furniture store for 10 years called OFCO that was owned by these three guys. Their original store was on Rosedale in Ft. Worth and then they opened locations in Richland Hills, River Oaks and Hurst. They have all eventually closed except the original in Ft. Worth and from what we hear it’s struggling to stay open. The pics of NHM are great but very sad. I spent a large part of my youth at that mall going to the movies or hanging out. I loved Spencers, Waldenbooks, B. Dalton Booksellers, the record store by the food court (I forget the name) that we spent a lot of time in, etc…. Then as a young adult I took my first child, my daughter, to trick or treat inside the mall on Halloween. This was just after the scare with the tainted candy (anyone recall that?). It’s a shame that this mall could not be saved. Anyone know for sure what is destined for that site? I live in Lewisville now but my parents are still on the east side of Fort Worth and I have family and good friends who live in midcities so I am sure they would like to know as well! Oh lord, Top-a-Tater….the memories just keep flooding back! @Mandy, camelot was awesome thay always had a ton of cool underground lps and tapes i remember thinking how cool the punk rockers where around 86 when i was a kid .What was the name of the fancy italian resteraunt that was there it was like in the corner somewhere i think it was later turned into a christmas store. Hah! I used to go to this mall when I first moved to Dallas/Ft. Worth. I didn’t realize it was gone until I read this, shows how little I keep up with the Ft. Worth side of Dallas/Ft. Worth. Collin Creek Mall isn’t really dying yet, but once the new mall in Allen comes in next year it will probably be the death blow, or close to it. Besides the abandoned outlet mall between Allen and McKinney which has been abandoned for at least 12 years (which is when I moved to Dallas/Ft. Worth and it was long gone by that point), there’s an outlet mall up by Gainesville, about an hour or so north of Dallas, that was almost completely abandoned back in November. Two restaurants in the food court, and a handful of stores centered around the food court. The rest of it was completely empty. 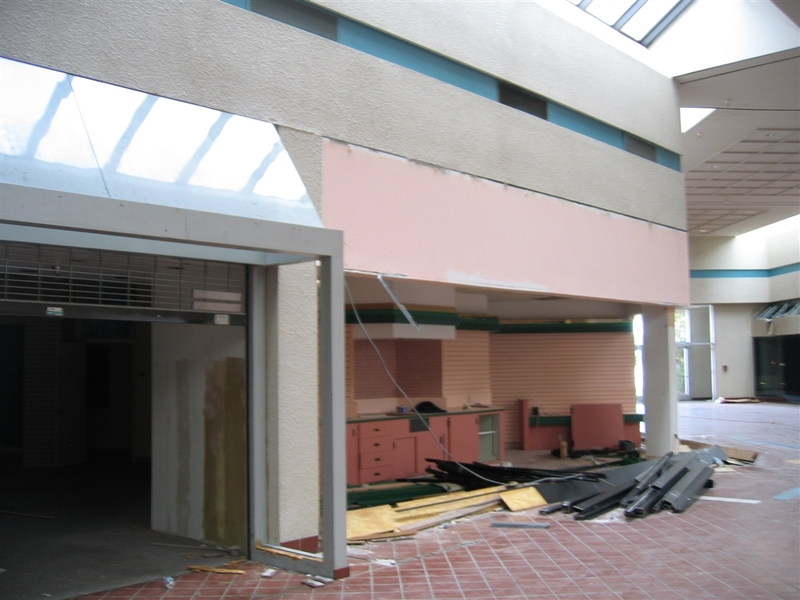 Also, I remember that they renovated the food court around ’93 or ’94. Before then it was multilevel with fountains running down and everything. It makes no sense to me why they leveled it because it was really cool. And on the previous post about the arched sign, there actually was nothing below that. They put that sign up in the mid ’90s and there was no auxillary sign or marquee below it. And in response to Allan’s comment about abandoned stores nearby, indeed there was a Best Buy that moved closer to North East Mall. The site at this time was a bargain clearance center and has since become a baby furniture store. The Texas Indoor Speedway in the same picture used to be a Home Depot, but that moved 2 miles west in the early ’90s. Next door off frame is a former Service Merchandise location that is now a discount clothing store. The restaurant at far right used to be a Shoney’s, then some Italian place, and is now a Pancho’s Mexican Buffet. Off frame but nearby are an abandoned Expo Design Center (was operated by Home Depot), an old Safeway store that became an Office Depot several years ago, and an abandoned strip mall. Very depressing since I live about 2 minutes from where the mall was. If I remember correctly, Striping and Cox used to be at North East, then moved into or consolided with the North Hills store in the late 80’s. Dillard’s then occupied that vacancy at North East along with their existing store until the uber-Dillard’s was built. Hopefully someone can back me up on that one. To disprove the Burlington point, Grapevine Mills Mall opened with Burlington as an anchor, and has thrived. Other stores left but but the mall is alive and well. The Burlington planned for North Hills has since occupied an old Sack and Save store not far from here. The food court used to be awesome. In it’s heyday there was a McDonalds, Taco Bueno, Arby’s, Chick-Fil-A, Sbarro, and others. All but Sbarro left with the food court renovation. North East’s current food court could not compare to what North Hills’ was. I think the Foley’s building was the last to be torn down. I thought they were going to save it for part of the new Hospital area. but i guess not. I remember the Luby’s in the mall very well. Very sad to see the mall go. I think they had an arcade. I visited this mall once when I lived in Texas early on a Sunday morning. Sad to see it dead. Actually, the mall map right before the gallery shows what the renovations would have been. The ice rink/expanded food court/additional retail would have been where Stripling & Cox was, and the skate park would have been where the General Cinema theater was. My two cents about the next DFW goner: either Southwest Center Mall (aka Red Bird) in Dallas, or Golden Triangle Mall in Denton. Where would the three-acre lake go, then? Yeah, if you read the main description, the over-ambitious owner wanted to place a three-acre man-made lake with a fountain that shot water 200 ft. in the air. Pretty unimaginable to me, if I say so myself. That’s nuts, fountains i could understand, but a lake? A lake was part of Jordan Creek Town Center. With all of the news about climate change, i don’t think that was a smart move. The lake would have been behind the skating rink area. I forgot about that. I’ll see if I can find a full out plan for the renovation. On this page it was just how the mall itself would have been laid out. Does anyone remember what the Foleys looked like? I can’t seem to remember that part of the mall well. Do you know if it was remodeled back when they did the rest of the mall? I used to work security for North Hills Mall. I only worked there a short time from June of 1989 until May of 1990. At that time Foleys was in the mall and I remember a waiting list for stores to get in. We were 100% occupied (at least if my memory serves me right) with Striplings, Foleys and Mervyns. We had Lubys and that awesome food court mentioned above with the multi levels. There was a record store by the food court and one by Foleys. A theater was in the mall, an arcade across from it and a cookie store around the corner. There was a pet store by Mervyn’s that always drew a crowd. I remember at Christmas of 1989 the parking lots were at capacity so people started parking in the grass around the mall and damaging the water sprinkler system. My best memories are those people who worked in the office and security as well as those in the stores. Good Times! From 1981 to 1992, Cowtown Vettes (a local Corvette club) would put on a car show with around 30 Corvettes inside the mall. We would rope them off. We brought them in Thursday night after closing and would not drive them out until Sunday night. We raised over $3000 every year for Spina Bifida and helped raise awareness of the birth defect. These were great fun. My wedding rehearsal dinner was at Berrera Perretii’s at North Hills. Many great memories of that mall. Not to mention, several of my former girlfriends before my marriage worked at Foley’s, Regis, Stripling & Cox…..but we won’t mention that. I even remember before the mall there was a golf course with a huge pond and a big day care center where the mall was built. @Mike Musgrove, THAT was the resteraunt i was trying to remember.Wasnt it kind of dark and fancy inside? For a number of years Stripling/Cox had a car show outside. In the year 1990 in their car show, I won the Best of Show award; a large Trophy which I still have, by entering my 1923 T-Roadster car. Great memories from the North Hills Mall. I forgot to mention this is where I got engaged to my wife and met a girl I introduced to my brother .. who is now my brothers wife. One thing that might also have worked against North Hills was duplicity in stores, both within as well as with North East. An earlier post mentioned two record stores (Musicland near Foley’s, Camelot near the food court), with Musicland operating stores in both malls. Two book stores (B. Dalton near Foley’s, Waldenbooks in the Mervyn’s wing), and Waldenbooks had stores in each mall too. I remember the pet store, Petland, they had their dogs right near the front so you saw them as you went into Mervyn’s, but shuttered before the mall went into a nose dive. Challenges, the arcade, was cool, but the guy who owned it also owned an all-you-can-play arcade in Keller, about 15 miles away. Gap was here to before jumping ship to North East. Things Remembered moved from North East to North Hills around 1988 or 1989, but when it closed, it made The Parks in Arlington the closest TR location. Mrs. Fields Cookies, ahh yes. And then there was also the children’s museum that occupied a huge block of the mall. This mall deserved, and should have done, better. Oh, wow… I remember my mom taking me here when I was a little girl. We only went a handfull of times, though, because, to be blunt, it was pretty crappy in its later years. I honestly don’t remember much about its interior, but I instantly recognized that hideous giant tiled mosaic entrance to the Foley’s. I last visited it in July of 2004, but I just sort of went in and out; there really WASN’T much of anything there, and it had very, very little variety; it’s no surprise to me that it closed soon afterwards. I hate to slam this mall so much; it really does have a very interesting history, and I’m glad to learn about it. It’s just too bad that it had to slowly rot away like this. Nicely written article, I really enjoyed it. Did North Hills mall have a foot locker? And someone said the food court was like a double decker. How did that work? I only remember it being one level. I think if mervyns would of stayed, the mall would of stayed alive longer, they still had polpular stores like Radio Shack, Sunglass Hut, Pearl Vision, Bath and Body Works, The Limited,and Victoria Secrets for the women shoppers. Six flags mall is still alive and they only have one ancor store which is dillards. But the mervyns also closed near hulen mall, ridgmar mall, the parks and irving mall. So North Hills wasn’t the only one that hurt, but North Hills probably needed them the most. What a shame. I grew up going to this mall, as well as NE. I even worked in the Gineral Cinema movie theater at North Hills in the summer of ’90. It was the only theater I’ve ever seen where the popcorn machines were upstairs. My job was to make the popcorn. It was surprisingly a pretty good job at the time. I got to crank the music, zone out, and see free movies. The employees would go bowling together at some place off of Airport Freeway; I recall we one time bowled against the team from UA Cinema 6 at NE Mall. One odd store the mall had in the late ’80s was one devoted to Texas Sesquicentennial souvenirs. 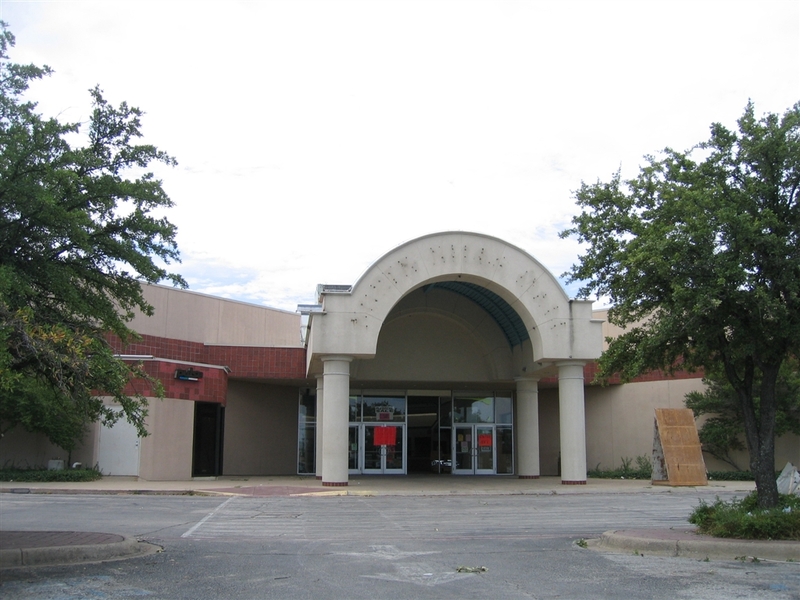 Does anyone remember Richland Pointe Mall off of Rufe Snow just a quarter of a mile off of 820? It closed I think in the late 90’s? I’d like to see a write up of that if anyone can remember it, it leases space to offices now I think. Anyway, excellent job, I can remember going as a little boy in the late 80’s and the place was crawling with people – we would go periodically throughout the 90’s and it always seemed to be doing well. My cousin even got a job at Claire’s and met her husband there, he was a security guard but this was ’99 and the mall was starting to go downhill…I can remember asking her at Christmas whether anyone still went to that mall or not and we all laughed about it. The last time I was there was August of 2004 and the place was miserable! We walked the entire mall and I was shocked at how the whole place was basically shut down. Oh well, things change. I remember Richland Pointe aka Outlet Malls of America. When I moved to DFW it was a bunch of good inline stores and only one anchor, Ross. Ross closed that location and was replaced by the 50% Off Store, a precursor to Big Lots. There was Linens n Things, Famous Footwear, Cato/Cato Plus among others, plus renovations in the mid-1990s turned the north and south entrances into 24 Hour Fitness and Texas Drug Warehouse respectively. Unfortunately the mall dropped like a rock, due to a Wal-Mart right behind it expanding into a Supercenter. 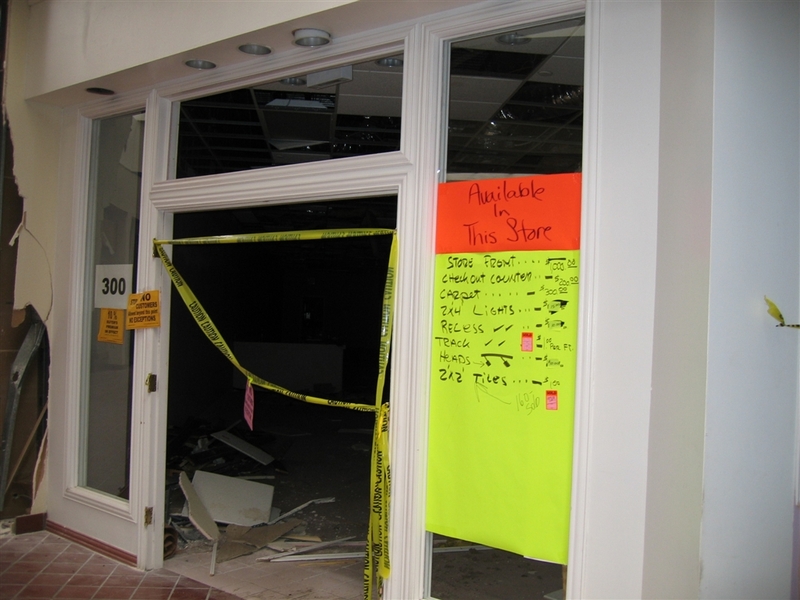 Eventually it was leased as a call center, with Cato being the lone retailer in the building. I think that is still open as of now. 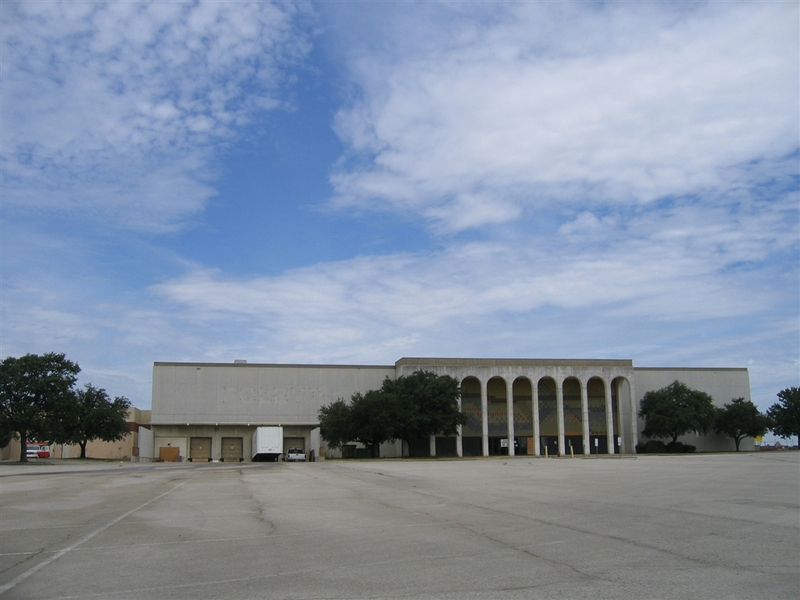 Re the abandoned outlet mall in Allen mentioned way upthread: It was called Belz Factory Outlet Mall, and it didn’t last very long; it was nothing like the outlet malls of today (but, according to a poster at this forum, it may have been the first enclosed outlet mall in the nation. Meanwhile, just a few exits down Central Expressway, Allen Premium Outlets is doing well, and new mixed-use developments are going in across the freeway. And re Burlington Coat Factory going into a mall: That usually doesn’t happen in Dallas/Ft. Worth; they’ve tended to move into the former Mervyn’s locations instead, which means one less empty building sitting around. it mentions that he borrowed the idea from a mall in California, but it doesn’t say what mall. Does anyone know? I finally figured it out…it has to be The Grove at Farmers Market! Something very interesting about this mall was the mosaic tiles on the Foleys. If you look closely, you will see the designs of the multicolored tiles. They were really quite beautiful. Just before the mall was demolished, a man was trying desperately to get the mall owners to let him take down the tiles and restore tham to another location and the mall owners WOULDN’T LET HIM! They are probably in a landfill somewhere. I was at the mall in 2003 and, in the middle of the day, I was one of maybe 5 people in the whole mall. It was creepy. Reminded me of Dawn of the dead. @David, It was the old Sanger-Harris design (also mentioned upthread), which is what the store was before it was bought out by Foley’s. I faintly remember my mom, aunt & grandma always talking about going to Sanger’s (as well as Monkey Ward & Alpha-Beta, old store names that are forgotten or on their way to being so) back when I was a kid and they moved close enough that North Hills was our mall. 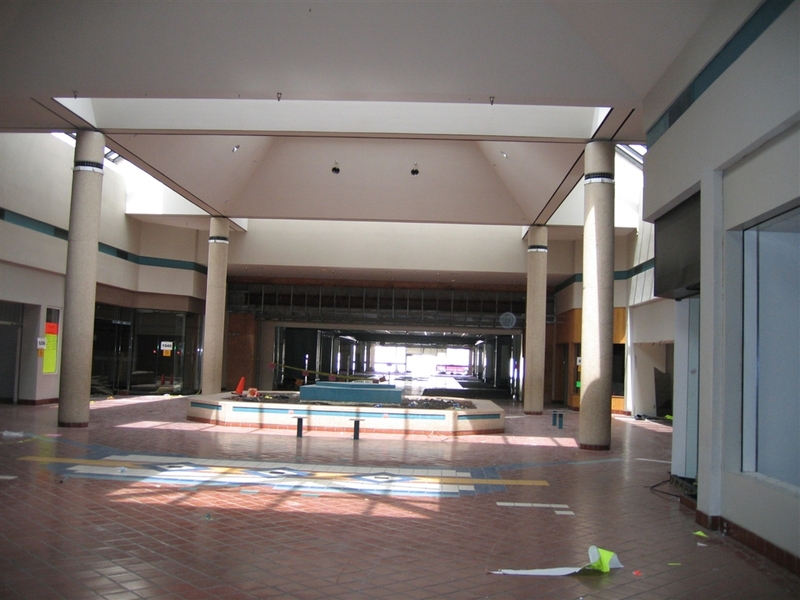 I hate that the mall owners wouldn’t let that guy have the tiles or buy them – it’s yet another bit of DFW history torn down and thrown in the trash. I just realized this evening that the NH Mall was demolished. I’ve known that the mall was closed, and had been closed for at least 3 years, but I was completely unaware of it being torn down. So I was over at “half of half” across the street, and after I left I decided to hit up Arby’s for a sandwich. As I was going through the drive-thru at Arby’s I looked over and saw a fence up. I said to myself, “what the hell?”. It was dark so I couldn’t see much. I got my food and then turned around my car in the parking lot so I was facing what used to be the mall. I then turned on my brights and became completely astonished. I had no clue it had been torn down 2 years ago. I drive by this mall everyday on 183/820 and never realized it was gone. Shows how much I pay attention. I moved into NRH in 1989. I was 4 at the time. I didn’t care for malls much at that age, but as I became older I grew to love them. By the time I was 12, malls were among my favorite places to go. Warm in the winter, cool in the hot summer. I frequented the NH mall often. The General Cinema was always the theater of choice, even though the NE mall theater was only 1/2 a mile further. The General Cinema shut down when I was in 7th grade. That was right around 96 or 97. I remember the first time I ever made out with a girl in a movie was at the NH mall General Cinema. My first job was also inside the NH mall. When I was 15 I began working inside the Chic-fil-A. The mall at this time was doing okay, but was not thriving. 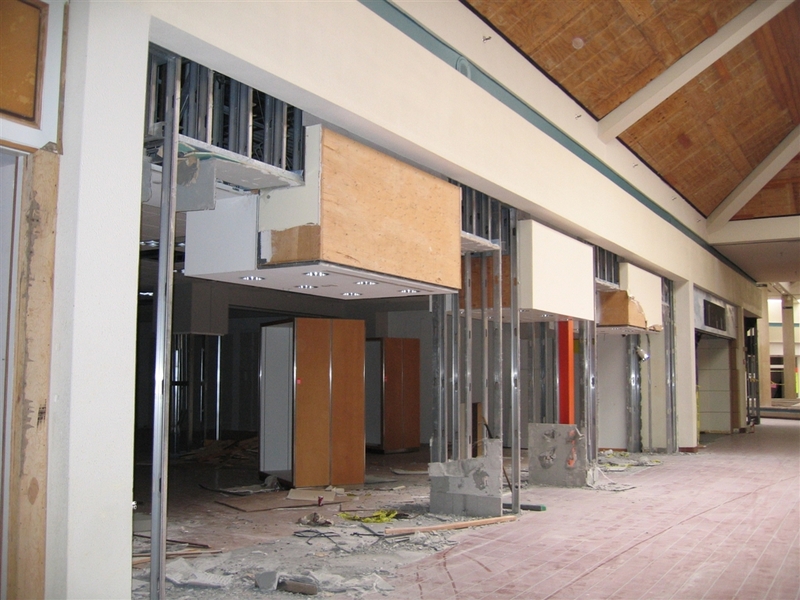 The NE mall was almost done with all its remodeling and renovations. I still remember the Foley’s employees getting excited about leaving the NH mall and moving over to the NE Mall. This mall had a very special place in my heart because of so many early childhood memories. I remember frequently shopping at Mervyn’s with my mom for buying “back-to-school” clothes. The pet store was always a place I had to stop in. The dogs were right at the front of the store and you couldn’t help but “oooh and awww” at them when you walked by. I also remember the Luby’s cafeteria just like it was yesterday. My family would go there often, especially on a night my mom didn’t feel like cooking. When I was 10 or 11, baseball card collecting became a big hobby of mine. I remember a card store being just down the hall from the movie theater. Anytime I would go to the mall with my mom and I knew I was going to be there awhile I would head over to the card shop. I rarely got anything because I never had much money, but I remember always spending a lot of time in there because there was so much sports memorablia. It would always keep me entertained for a good 30 minutes. Another fond memory was the Gadzooks. At the age of 12 or 13 I would always be enamored by the sexual innuendos’ on shirts at the back of the store. I remember going in there and reading them, and then trying to be incognito about it, because I felt like I wasn’t supposed to be in there looking at the dirty shirts. I also recall having a friend that worked in the Radio Shack, along with a couple of high school buddies that worked in Mervyn’s just before it shut down. Granted, I do have a lot more memories at the NE mall that go just as far back, but it still hurts to see a structure that helped mold so many memories be torn down. Thanks to the guy who put up all the pics. It was very nostalgic. You didn’t get a pic of where the Chic-fil-a used to be in the food court, but at least you got a couple of restaurants that were right next to it. Also, thanks for all the history and inside info explaining what all went down. I appreciate all the research you did. 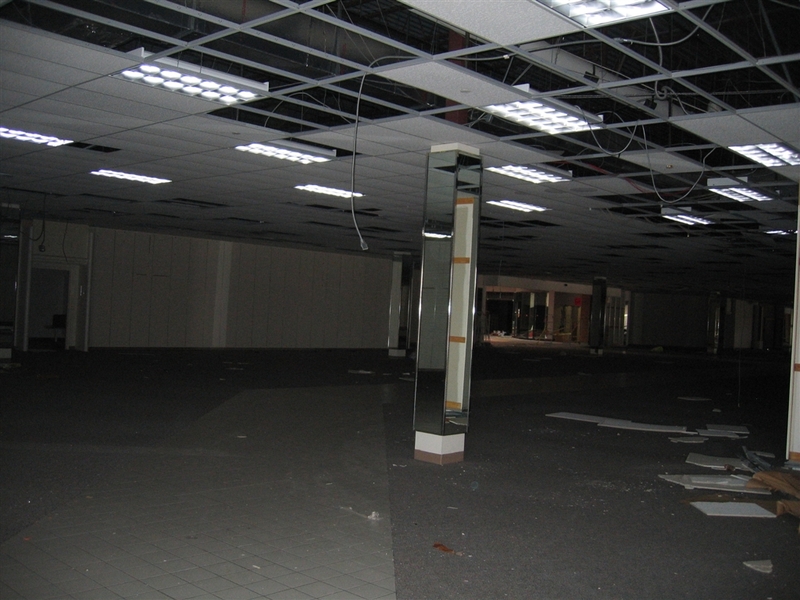 Re: The abandoned Allen mall was in fact called Belz Outlet Mall. It closed down I would say around 1986-1989. It was only opened for a very short time. I have 2 uncles who worked there, one of which was Burlington Coat Factory, I cannot recall the other ones. I drive by it everyday and since they are reconstructing the roadways to accomadate the new 121 tollway I’m sure it’s a gonner. It’s sad and hate to see it go, but there is no other option. The building itself has structural and foundation problems for sitting for almost nearly 2 decades. I wonder if they will end up building something there or just leave it be. Wow! You really did your research on this. I am very envious that you got to see NHM in its final days. I grew up in the area, but moved away, and by the time I was aware of the Mall’s decline it was truly awaiting the wrecking ball. Awesome pictures…although it is sad to see places in their 80’s neon glory all crumbling and falling apart. Wow this is a sad ride down memory lane. In my wild years this mall was central. I worked in the food court. Got in a brawl outside the movie/arcade entrance with about 12 people. Scored LSD there for the first time. Stumbled out of Natural Born Killers trippin balls. Went on my first date with a woman to whom I was later engaged. Got an indecent proposal when I was 17 from a girl that wanted to engage in “blood-play”. Got hassled endlessly by the rent-a-cops. Spent all day going in and out of free movies when the air conditioner broke at my first crappy apartment. Ate bags of cookies from Mrs. Fileds – actually sold bags of meth out of that cookie stand off and on for a summer! My first job was at N. Hills Mall, @ Chic-Fil-A, then I moved to Top-A-Tater, lol. I finished out my employment at that mall in the Gift Wrap Dept @ Foley’s where I worked for a while. Loved it. Miss that mall. My daughters did not get to experience N. Hills Mall. I started working at Sanger Harris (store #12 as mentioned above) in 1995. It was a fantastic time for me. The mall had just been renovated and enlarged. It was doing quite well back then. The SH store got a new manager transferred in from New Mexico and within months, sales at store #12 were either tops or second in the chain. He soon moved up to a VP and was gone within a year if I remember correctly. Circa that time my favorite restaurant was Birraporetti’s. I would take the then love of my life Julie there many times. It closed down I think, cause it lost its liquor license around 1997 and the area was then turned into a ‘Tis The Seasons Christmas store. I can’t even begin to think of the number of times Julie and I went to the General cinema which was brand new with the mid 90’s renovation. What a lot of great times I had. 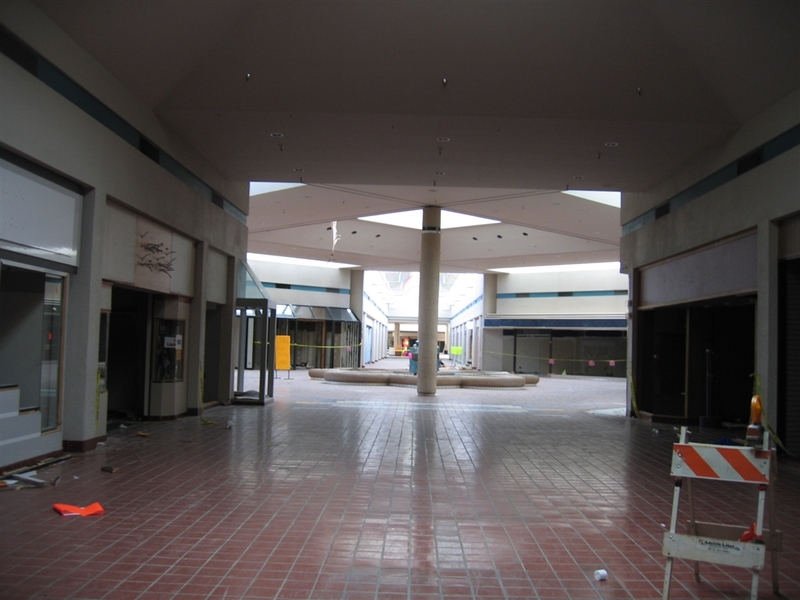 It’s hard to believe the mall is gone and 25 years have past. Opps, I think the Birraporetti’s closed around 1987, not 1997. My mother and I went to the Belz mall once. Difficult to get to, not a lot of choice of stores (one anchor was called Winston’s)…was easier and better to go to the Outlet Mall of America in Plano (now Plano Outlet Square). In recent years, General Growth was trying to get a development going in the Belz vicinity called ‘Allentowne’ (that corner of 75/121 is in the Allen city limits, hence the name) but they got beat out by the Herring company that put in the Village at Allen/Village at Fairview centers; plus General Growth had to file bankruptcy (they’re still working that out). @Sherry: I’m sure somebody will do something with the Belz property with the proximity to 75/121. IMO, the Belz mall was *a bit* ahead of it’s time. For those who like/miss/ask about the arch/mosaic facade work of Sanger Harris, this site http://www.cavallinistudios.com/mosaics.htm (scroll down about 1/3 of the way down) should illustrate it better. The downtown store that opened by the mid-1960s was the first instance of the arch/mosaic style facade that would be repeated about 10 more times. This http://www.cavallinistudios.com/zoomsangerharris.htm is a daytime version of the former downtown store (DART really screwed up by covering the mosaics and cutting windows into the upper floors *aarrgh* *ugghh*). OH! Those interiors hurt! Last time I visited was in 1997, when the fountains still flowed and all those planters were filled to the brim with blooming and green lush plants. It was my favorite of the 2 malls. I hated that North East got the renovation and killed North Hills – and yet NE still manages to feel sterile and unwelcoming to this day. I went to school at St. John’s right across the parking lot from the mall. I used to love going to the mall after school and wandering around. In 8th grade I always imagined skipping class and running down the soccer field and staying at the mall all day, spending my lunch money on movies and at the arcade. Never did it, but always wanted to. I remember buying a dress at Gadzooks for a school dance. It was great! And summer movies at the General Cinema…oh man, great memories. a friend of mine has video footage of the demolition that he’s been meanin’ to show me. Was sad to hear that this mall closed I worked at the McDonald’s there 1988-1990. Was my first job sorry to that is gone. 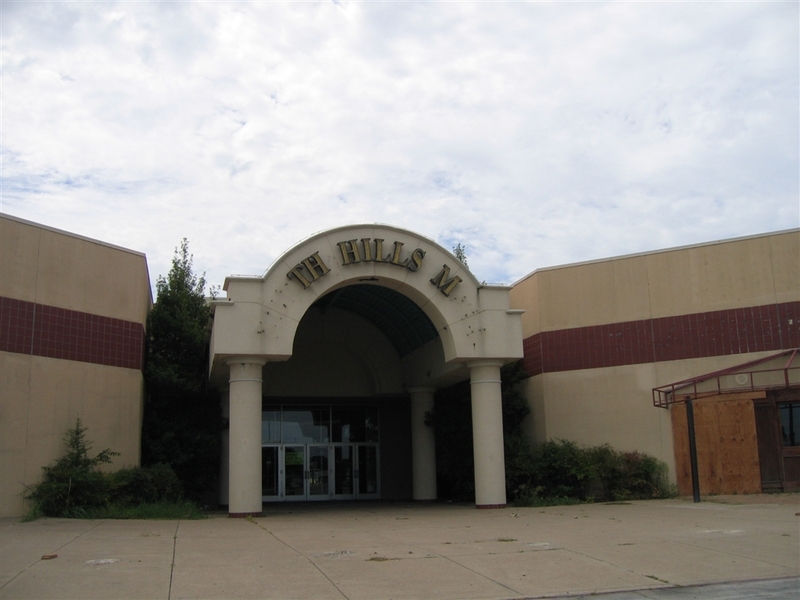 I have so many fond memories of this mall, i was very sad to see it gone. I used to frequent this mall around ’95 with my mom and younger sister for “girls night out”. One of my favorite stores there was the Gadzooks and claires. I can remember the pet store and buying food for my iguana. 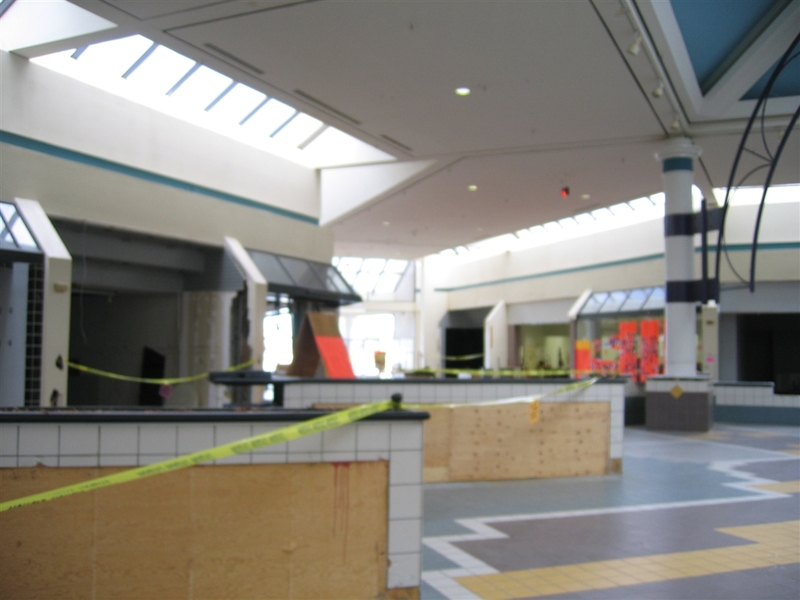 This mall before NE got remodeled was the safe mall to got to at the time because NE mall was kind of a sketchy place before the remodel. I fondly remember shopping for school clothes. After NE mall was remodeled sadly we stopped going to north hills. 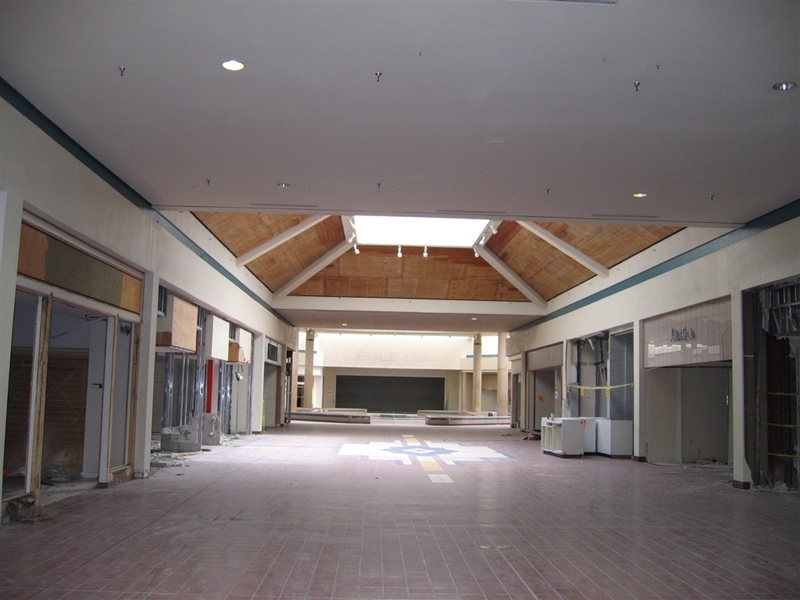 Around 2002 my sister and I decided to go back to north hills and was surprised to see the state of the mall, there was a whole empty section of the mall and a few stores were still open. The food court only had an orange julius that was still in business. I don’t remember if mervins was still open or not, but i do remember a banner proclaiming the renovation project that would start that depicted an “open air” mall. Was the mall really built in 1979? At that timeI remember only a stand alone Sanger Harris store being there until the late 80’s. I had several friends work in the new Meryvn’s and other shops there. High school teens hung out here like crazy. 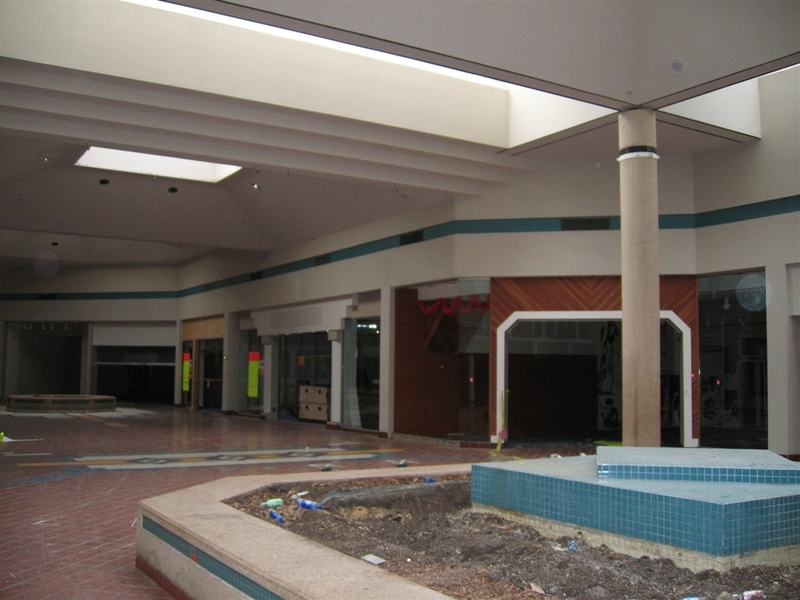 Cool to see the dying mall pics. Wow, thanks for this. Brings back a lot of fond memories. I spent a lot of my childhood at North Hills Mall. From eating dinner weekly with my grandparents at Luby’s in the mall, to buying my action figures at KB Toys, to beginning my sports collectible and Starting Lineups collection at the House of Cards. 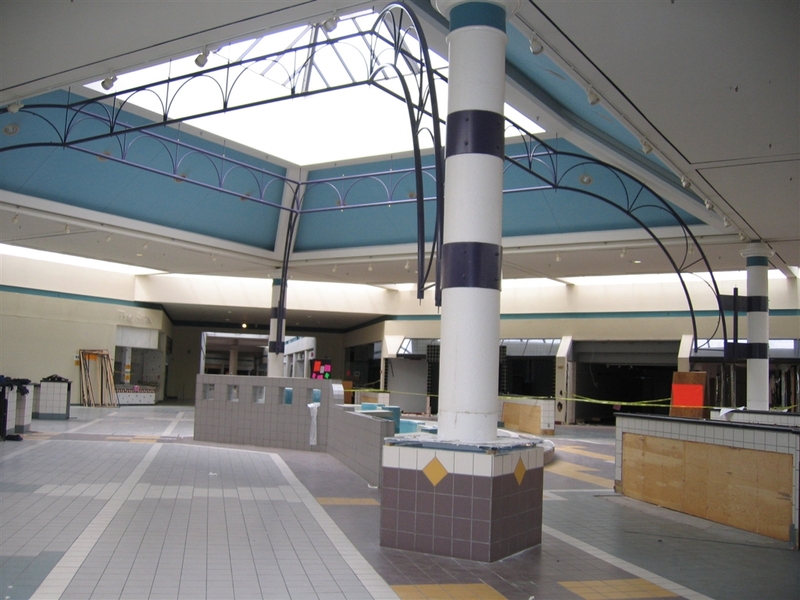 I remember going into the mall several times in it’s dying years and it was heartbreaking. Stores were few and far between, the food court was virtually non-existent, and there was basically a full wing that was vacated for the most part. I feel so bad for the people having to deal with the flood. One of my relatives lives out there and she said it’s pretty terrible, they’ve evacuated like 12,000 people. My heart goes out to everyone there. can anyone remember the name of the store that sold board games and the like. i remember buying a “dinner murder mystery” game there back in the day. I miss this mall some days. Good memories/bad memories, friends/regrets. I worked in Mervyn’s for almost three years only to go on vacation and come home to a closing store which was Feb 14, 2005. Really sad when it was time to say goodbye, I guess I never really did. It was more than a job at the time at least seemed like more. Funny the crap u do when you’re a kid. I thought I was invincible, sure was wrong. I still have dreams about this place and they match the pictures exactly. I’m sorry for anyone I ever wronged and I’m sorry I hurt myself. Good-Bye Mervyn’s, sure was one hell of party. I used to work security here. It was a fun job and I really miss the mall. It was nice, clean, small so you got to know every one. Made some life long friendships there. But the management was so poor with the exception of my boss who constantly battled mall management on issues. Like Double -D posted I miss it. But I was kid and I think you get nostalgic for times past. I had to point this article out to my friends. Was great to see it after all these years. A cookie store/Mrs. Fields has been referenced a few times in the comments. I’ve been trying to remember the name and location of a cookie store in either North Hills Mall or Northeast Mall that used to vent their cookie smells out into the mall. This cookie store would have been there back in the late ’80s and if I recall correctly it had a dark colored storefront (maybe brown) with a few big, round, pipe-like vents that piped cookie smells in front of the store. Also, I believe this store was located in an atrium area in front of an anchor store. Was this store Mrs. Fields at North Hills Mall? Some additional information and some corrections to the histories of these two malls. Northeast Mall opened in 1970 with the opening of Leonards Dept. Store. Leonards opened before the rest of the mall, and had a big opening celebration which I atttended with my mother, grandmother, and grandfather. A few months later, the first section of the mall opened, anchored by Leonards and Striplings, in the spaces occupied today by Macy’s and Nordstrum. It took a good bit longer, maybe as long as a year or two, for the second section of the mall to be ready for occupancy. This section formed an “L” with the original section, and was anchored by JC Penney’s in their current location. Penney’s is the last store remaining of the original three anchors. In the late 70’s Dillard’s bought out Leonards and took over that store while Sears built their current location in the corner of the “L”. The movie theater and Montgomery Wards next to it were built in the early 80’s, filling out most of the mall’s currrent configuration. North Hills Mall opened in 78 or 79, and like Northeast started with a single store, Sanger Harris, in the space later occupied by Foley’s. Shortly after, the first section of the mall opened, with Cox’s at the opposite end from Sanger Harris. Sanger Harris didn’t last very long before being replaced by Foley’s, because Foley’s was already there in 1985 when the second wing of the mall opened. I remember this period well because I worked for Mervyn’s and was on the team that opened the North Hills store in June 1985. This expansion doubled the size of the mall and the future looked bright for North Hills at that time. In the 90’s, Striplings and Cox’s, both locally owned Fort Worth department stores, had fallen into difficult financial situations and merged their companies. 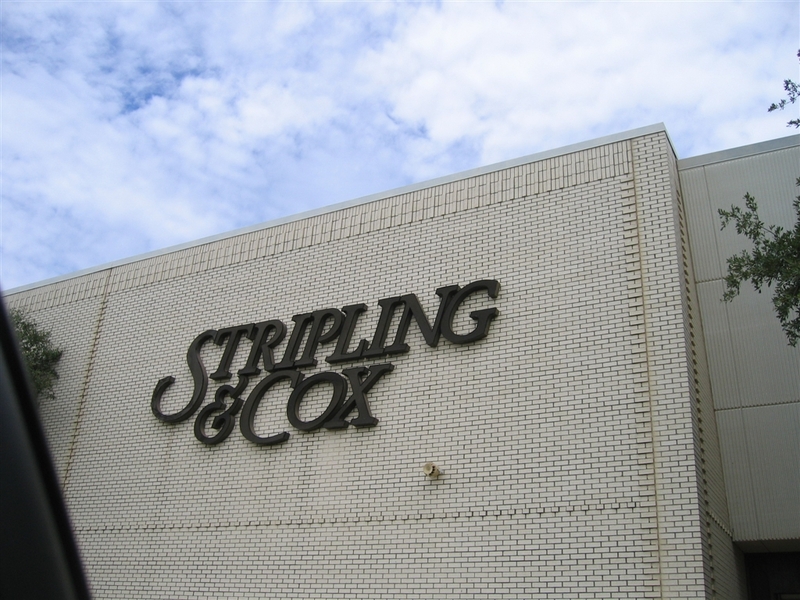 Striplings closed their store in Northeast Mall store, and the Cox’s in North Hills Mall became Stripling and Cox. 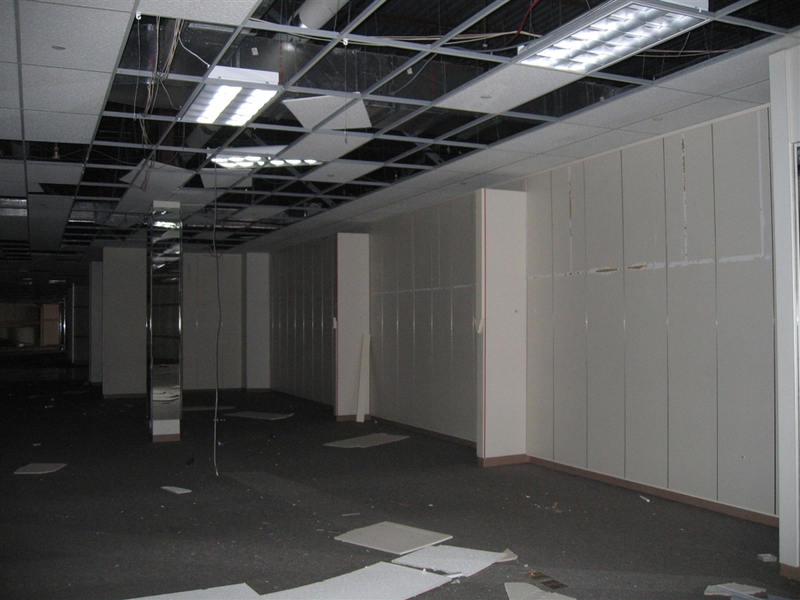 Striplings’ space in Northeast Mall was vacant for a while, before becoming Dillards Mens Store. 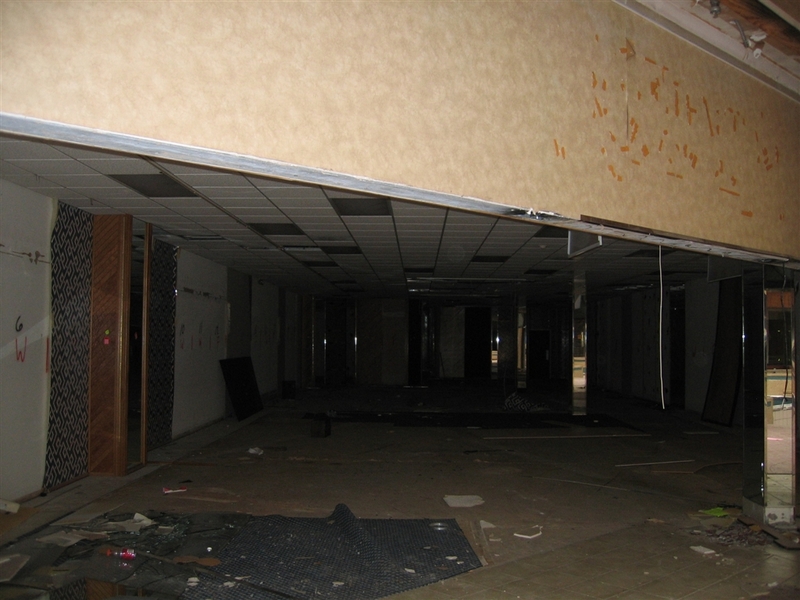 When Montgomery Wards went out of business, Dillards built their current store next to the movie theater, and Macy’s and Nordstrum moved into Dillard’s old spaces. 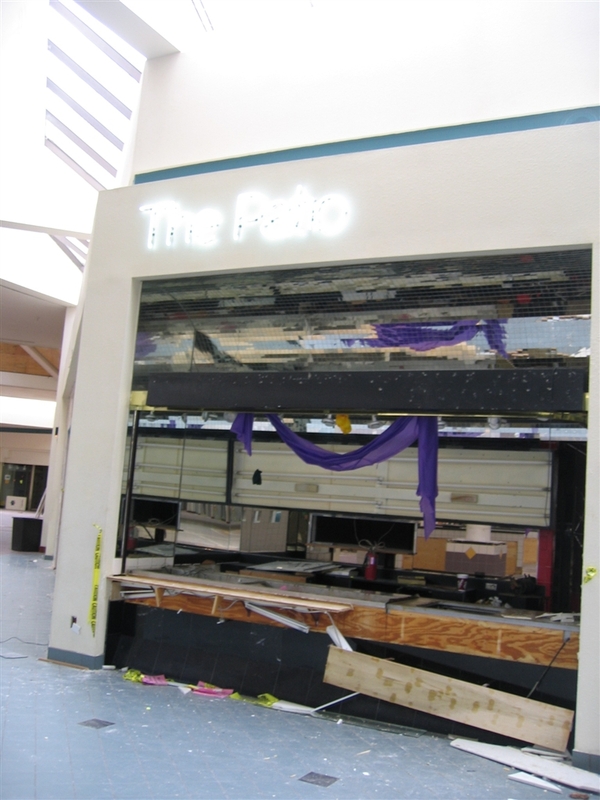 This happened at the time of Northeast Mall’s big expansion and shortly before North Hills Mall closed. Can anyone else explain the multi level fountain? Was it surrounding the food court? I’ve been searching for a mall I vaguely remember as a kid there had been a mechanical dinosaur exhibit all through the mall. I’m not quite sure if this was it. Thank you for the very thorough write up. I moved to Fort Worth in 2006 and was very confused by all this when I first moved here. It’s very sad and interesting to see the impact of the continued 820/Airport Fwy construction on that whole area. It seems that everything but NE Mall has really suffered because of it. Someone mentioned Valley View Mall. Demolition began two weeks ago, closing that sad story. Six Flags Mall has also been demolished except for the movie theater. Will be interesting to see how long it lasts. Does anybody know the names of any of the smaller stores that were in North Hills Mall. I think there was a small 5 & 10 type store somewhere around the food court. The was also an Old San Francisco Music Box store.